Help Make this Christmas season special for someone in need. 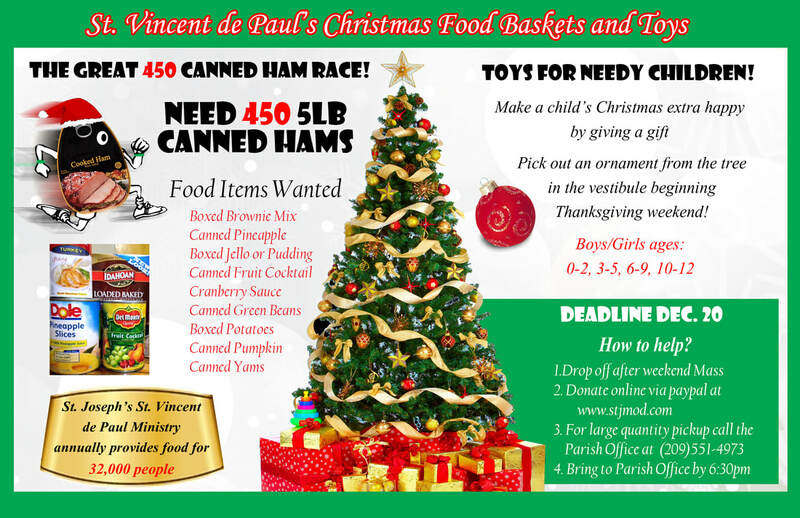 Donate using the button bellow or bring a canned ham, food item wanted, or gift to the parish office through December 20th. Merry Christmas! !